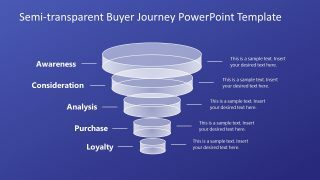 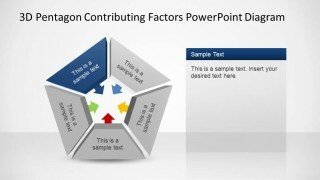 3D Pentagon Contributing Factors PowerPoint Diagram is a colorful 5 Steps diagram where each step represents a factor with an arrow that points to the center of the shape in order to indicate a contributing force. 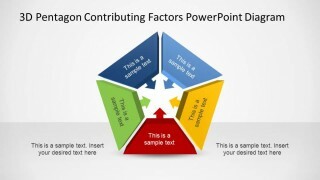 Contributing Factors diagrams are very popular for Root Cause Analysis and for Factual Analysis, where a group of high level factors directly influence a topic. 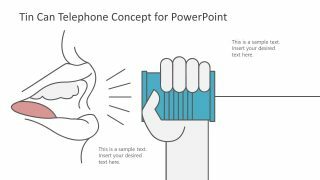 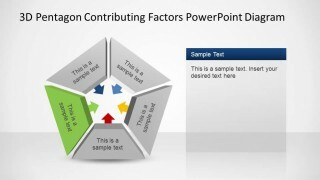 Our 3D Pentagon Contributing Factors PowerPoint Diagram is created using PowerPoint shapes, with a colorful palette (red, yellow,blue, light blue and green) with shadows and light glow. 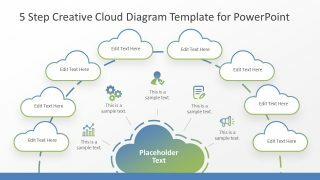 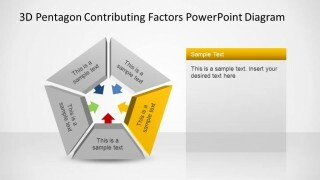 Each Factors cab be separated from the pentagonal shape, and is fully customizable by the user updating the PowerPoint shapes properties. 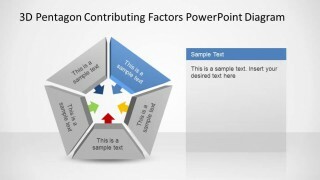 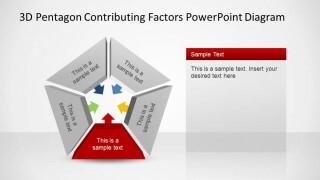 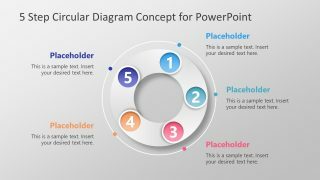 The 3D Pentagon Contributing Factors PowerPoint Diagram contains 6 slides; the initial slide with all the factors colored, and 5 subsequent slides with the same theme, with one colored factor and the rest colored in grey. 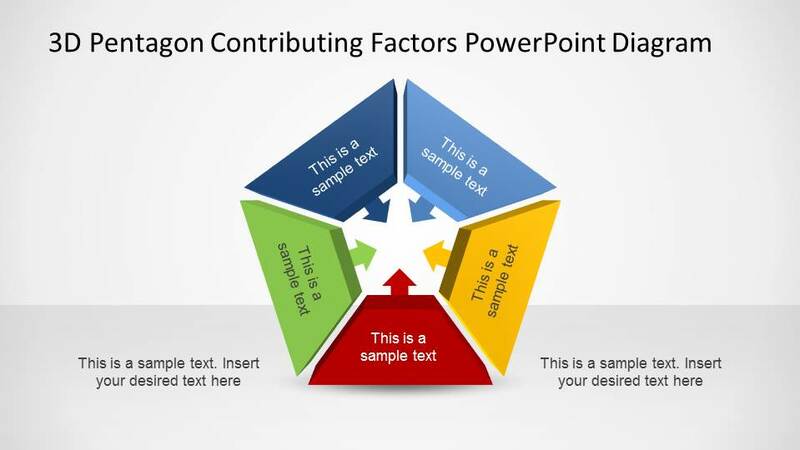 This last slides provide a Text Box and the individual color engages your audience in the specific factor.